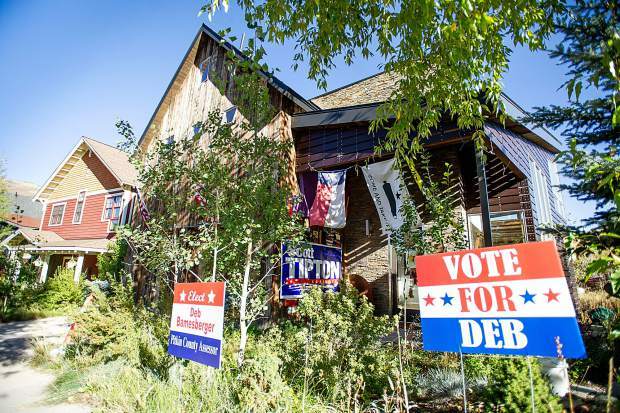 A judge is holding off the enforcement of his previous court ruling ordering an Aspen man to sell his taxpayer-subsidized house at Burlingame Ranch because the matter now hangs in the balance of the U.S. Supreme Court. Pitkin County District Judge Chris Seldin on Tuesday issued an order denying the Aspen-Pitkin County Housing Authority’s motion asking to him to enforce an earlier judgment that Lee Mulcahy sell his house. Seldin’s one-page order suggested his court would be abusing its discretion were it to lift the stay because Mulcahy is attempting to take the matter to the nation’s highest court, which appears to be his last legal resort to keep his home. Mulcahy has said that with or without the court order’s enforcement, he has no intentions to leave his home, which he built after winning the housing lottery. Mulcahy paid $150,000 for the undeveloped lot in October 2006, later constructing a 3-bedroom, 31/2-bathroom, 1,912-square-foot home in 2012, according to property records. APCHA sued Mulcahy in December 2015 on allegations that he failed to meet the housing authority’s ownership requirements of working 1,500 hours a year in Pitkin County. In June 2016, Seldin ruled in APCHA’s favor and ordered Mulcahy to put up his home for sale, but the ruling was not immediately enforced because Mulcahy took the case to the Colorado Court of Appeals. The appellate court upheld Seldin’s ruling and, on April 30, the Colorado Supreme Court declined to hear the case. Mulcahy has since taken steps to have the U.S. Supreme Court review his case. On July 23, Justice Sonia Sotomayor granted Mulcahy’s application to file a petition for a writ of certiorari no later than today. A petition for a writ of certiorari essentially asks the higher court to review a lower court’s decision. Denver attorney Jordan Porter is representing Mulcahy in his federal complaint against APHCA. That lawsuit claims APCHA did not give Mulcahy the required 60 days to demonstrate he was complying with housing regulations after APCHA warned him in July 2015 that he had run afoul of them. Porter is not part of Mulcahy’s bid to have the Supreme Court hear his case. Porter said it typically takes the Supreme Court six weeks to determine whether it will review a writ cert.